Yesterday the tickets came for the English Poetry and Song Society's Diamond Songs recital at Bristol's Colston Hall on 12 October when Sarah Leonard and Stephen Varcoe, accompanied by Nigel Foster, will be performing a songs by Britten, Moeran, Ivor Novello, Noel Coward and me. My contribution being one of the finalists in the EPSS's Diamond Songs competition. We were rather tickled to see that also appearing at Colston Halls that evening is Neil Sedaka (the recital is in the smaller hall, the larger hall taking Neil Sedaka). So there you have the choice, if you are in Bristol on Friday 12 October, its going to hear Neil Sedaka or me! Martinu’s Julietta is a curious work, one of those pieces which you are aware of and which hovers on the fringes of the opera world but which does not actually get performed very often. Opera North performed it quite a few years ago in a production by David Pountney and there was a BBC concert version at the Barbican under Jiri Belohlavek in 2009. It is one of those works which garners enthusiasm. Now ENO have imported David McVicar’s production from Paris by way of Geneva, and given it a tremendous cast. We saw it Saturday 29 September. 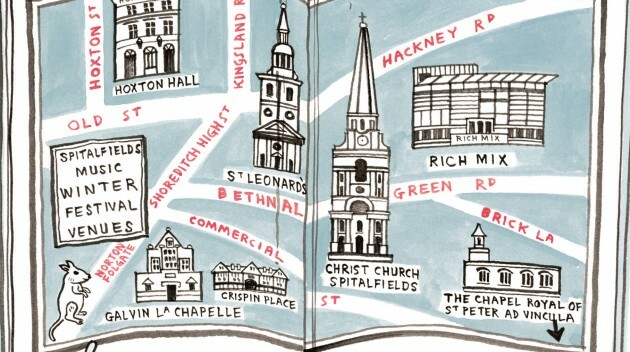 You don't have to wait until next year for your fix of music and the arts in Spitalfields. The Spitalfields Winter Festival is taking place from 7 December to 18 December, with an array of concerts with a distinctly early music theme. They kick off with a pair of concerts on 7 December from the London Handel Players. The first, at 11.30am is aimed at young people but sounds fascinating, Gaelic traditional songs and classical airs, a heady mix. Then in the evening the band return, led by Adrian Butterfield, with Scottish fiddle player Alasdair Fraser for folk-inspired baroque music from the Celts and Gauls. And there's also a hurdy gurdy, played by Clare Salaman. Oh joy! St. Andrew's Church, Leytonstone is having a hymnathon on 12 -13 October as a fund-raising event for repairs to their organ. The church was designed by Sir Arthur Blomfied in the 1880s. It includes stained glass by Margaret Chilton and by Hilary Davies. 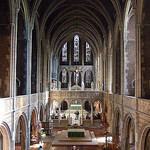 The organ is based on one acquired from St. Jude's Church, Whitechapel in 1889. 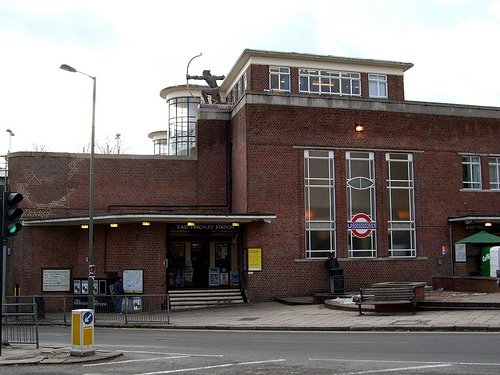 It was expanded by Lewis & Co in 1913 and repaired in the 1990's by J.H.Males of Polegate, Sussex. (You can hear the organ here). Now the original leather-work is failing and fundraising is under way. The church aims to sing the entire New English Hynmal at one sitting, between noon on Friday 12 October and 7pm on Saturday 13. There is a schedule on the church's website. And if you can't sing, there is a sponsorship at the fundraising page. 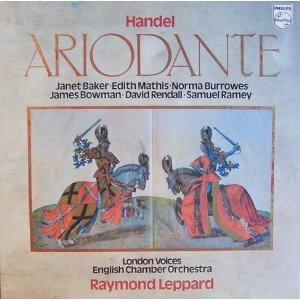 When I started listening to recordings of baroque music in the late 1970’s, the group which seemed to provide the most stylish recordings of Handel’s operas and oratorios was the English Chamber Orchestra. At a time when period instrument recordings were something more than a novelty, the English Chamber Orchestra provided stylish and sensitive playing in this repertoire. In fact, I still treasure their recordings. Even when period instrument playing became more common, their recordings found favour because of the standard of the instrumental playing. Of course, the orchestra is famous for far more than this. And on Monday 1 October, the orchestra will be celebrating 5 decades of music making with a concert at the South Bank Centre. 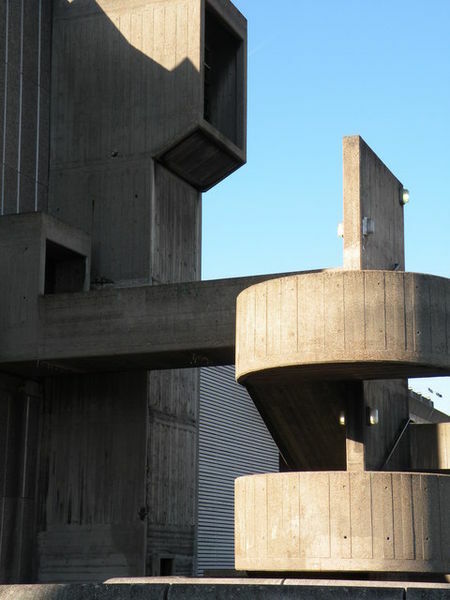 This month JAM (the John Armitage Memorial) opens its annual call for pieces. An open entry competition whereby composers can submit works and, if chosen, receive performances. The works can be any format but must use choir, organ and brass quintet (or a selection of these). JAM is relatively unusual in that it not only performs composer’s works but likes to develop relationships with them. 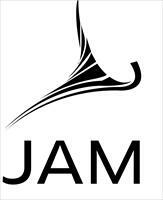 JAM was the brainchild of John Armitage, a retired advertising executive, but he died before the idea could develop into anything. His family set up JAM in his memory in 2000. I met up with Ed Armitage to talk about JAM’s forthcoming season and other new activities. 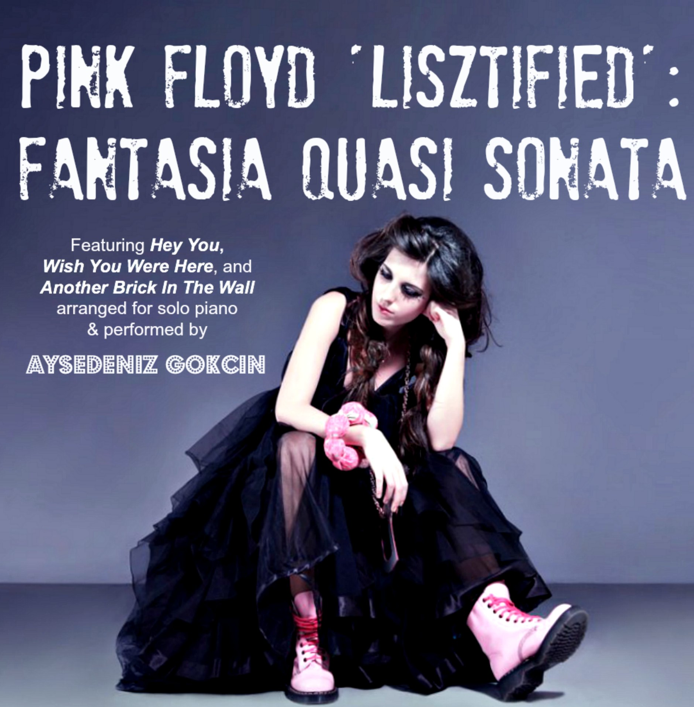 The young Turkish pianist AyseDeniz Gokcin made her concert debut at the age of nine, has already played at international festivals in Moscow, Beijing and Istanbul, and won the diploma prize at the Vladimir Horowitz International Piano Competition in 1999. She has just completed her masters at the Royal Academy of Music and seems to have decided to celebrate by making something of a splash. She has recorded a group of pieces which she is releasing in Itunes and other Digital Music outlets. Where does the time go? 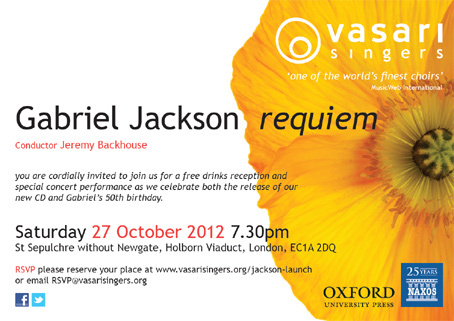 Gabriel Jackson is 50 next month and to celebrate, Naxos, OUP and the Vasari Singers are putting on a free concert at St. Sepulchre without Newgate, Hoborn Viaduct, EC1A 2DQ on Saturday 27 October 2012. The concert will feature extracts from Jackson's Requiem which has just been recorded for Naxos by the Vasari Singers under their conductor Jeremy Backhouse. 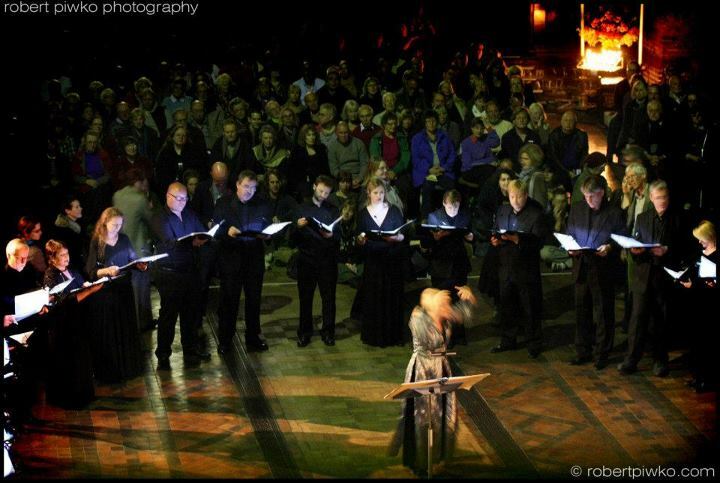 The Requiem was premiered by the choir on Remembrance Day 2008. The birthday concert also includes other music by Jackson along with music by Francis Pott. Advance copies of the CD will also be available for sale. Further details from the Vasari Singers website. 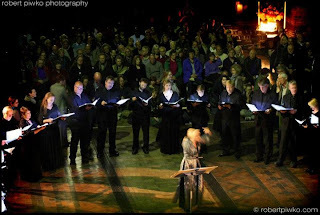 If you were listening to In Tune on BBC Radio 3 last night as you were cooking you tea, you might have heard an extract from a new requiem which featured the Rebel Chorus plus vocals from Maddy Prior and Barbara Windsor. Yes, you did read that right! 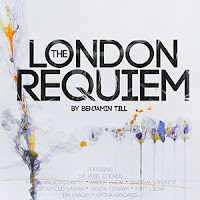 Benjamin Till's new London Requiem is written for choir and musicians plus vocals from various well known people.. The text is based on the Latin mass, but with the addition of texts taken from graves in London graveyards. 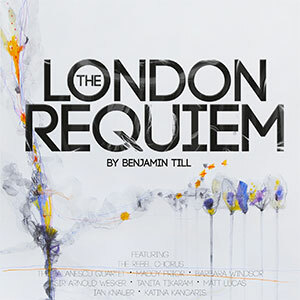 Till has written the requiem in memory of Londoners who have died. You can get a chance to hear the full work on Saturday 29 September. 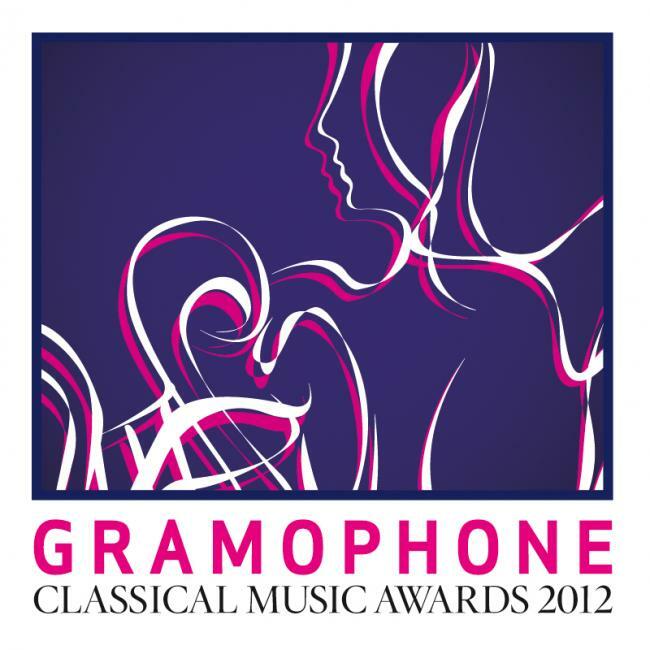 The 2012 Gramophone Awards have been announced, and the brilliant young pianist Benjamin Grosvenor has been named Best Young Artist of the Year and has won the Best Instrumental category, the youngest person to ever have achieved a double award. Anyone who saw has appearance opening the BBC Proms last year or has heard his debut recital disc of Ravel, Chopin and Liszt on Decca can testify both to his virtuosity and to the maturity of his playing. 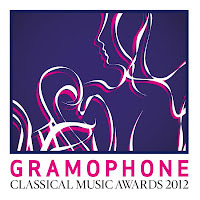 Despite the proliferation of awards in the classical music industry, the Gramophone Awards still remain the ones with the strongest reach and the most serious depth of purpose to them, recognising a wide range of types of classical artist. Debbie Wiseman, a composer best known for her film music, has already had a few brushes with Oscar Wilde. She wrote the music for the film Wilde starring Stephen Fry. 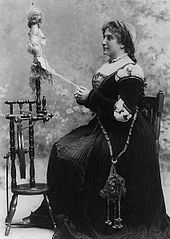 Her album, Oscar Wilde Fairy Tales, of music to accompany Wilde's fairy stories was nominated for a Grammy Award and was then turned into three animated films for Channel 4. On 19 October the British Art Music Series will be presenting her works live, with Wilde's stories being read aloud. The BAM Consort, under conductor Hugh Brunt, will perform two of Debbie Wiseman's works. They will be joined by school children from Eltham College, Latymer Upper School and the London Oratory School. 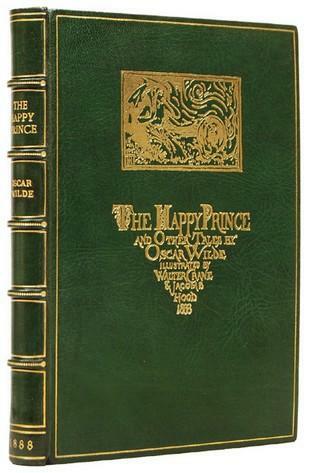 Over the music, Oscar Wilde's The Nightingale and the Rose and The Selfish Giant will be read. The concert takes place at 7.30pm, Friday 19 October, 2012, at St. Pauls Church, Covent Garden. Tickets are £20 and the concert will raise funds for CCHF All About Kids. Further details from the British Art Music Series website. 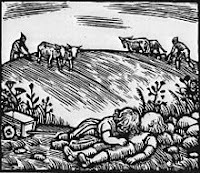 Delius's opera A Village Romeo and Juliet was the composer's fourth opera, written in 1900-1901, and is generally regarded as the composer's finest opera. The celebrations this year for the 150th anniversary of Delius's birth have not, alas, brought forth many productions of his operas in the UK. To see A Village Romeo and Juliet staged, opera lovers will have to travel to Wexford where they perform the opera this autumn. But Ronald Corp and his New London Orchestra brought the work to London in concert form on 25 September at the Queen Elizabeth Hall, thus giving us a chance to experience it live. Joined up thinking in musical education? You would think that we could be able to expect experienced politicians and senior civil servants to provide joined up thinking when it comes to drafting new legislation and government policy. That Yes Minister was only a TV programme, and in no way reflected real life. But for the last 20 years or so, governments of all hues have shown a worrying tendency to react to media outbursts with knee-jerk reactions and a hurried drafting, or re-drafting, of legislation, usually with unintended results. Recently the present government showed signs of real joined up thinking when it came to music education, but now that seems to be up in the air. Singers who make their name in the opera house can find that creating recital programmes needs different, complementary skills. The public, who have come to know the singer’s operatic work, will be disappointed if the singer does not include some operatic arias. The remainder of the programme requires some imagination and ingenuity. One of the appealing facets of the Rosenblatt Recitals series is the chance it gives not only to hear new and interesting operatic talent, but to see how they face the challenge of creating a recital programme. 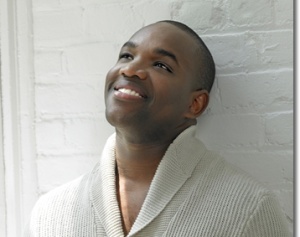 Opening the new Rosenblatt Recitals series at the Wigmore Hall on 24 September, tenor Lawrence Brownlee with Iain Burnside on the piano, made some interesting choices. But it was very much a programme of two halves with the audience keen to hear Brownlee in the operatic arias in the second half. And they were not disappointed. On Wednesday 26 September, at the Barbican Centre in London, and Thursday 27 September, at the Corn Exchange in Cambridge, the Academy of Ancient Music and their choir, under conductor Richard Egarr will be performing an all Handel concert. 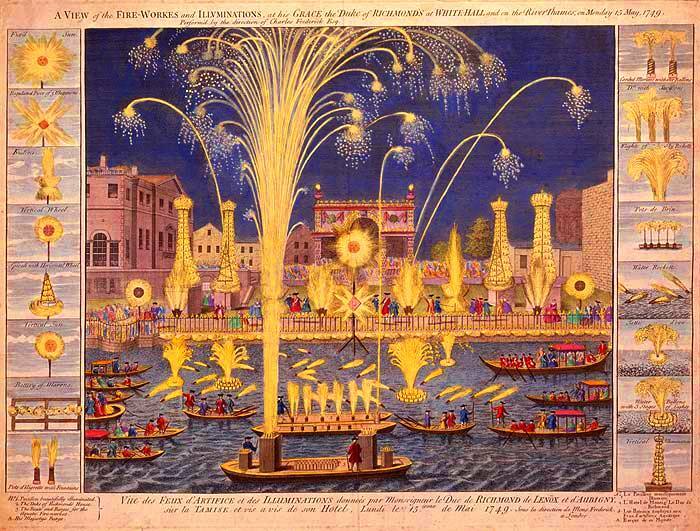 The programme is, perhaps, a little hackneyed, but frankly Handel's Coronation Anthems, Music for the Royal Fireworks and Water Music are all such tremendous works that you can hardly tire of hearing them. The Academy of Music made an appearance at the Diamond Jubilee Thames Pageant; this time they are indoors, so the weather won't matter! Further information from the Academy of Ancient Music website. Well its been a busy weekend. 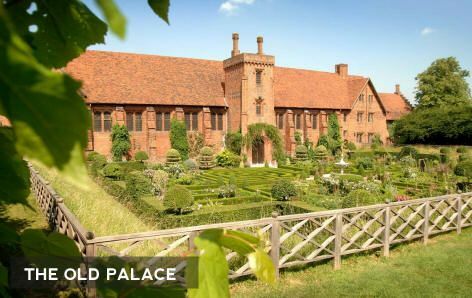 On Thursday we were at Cadogan Hall for Eugene Onegin performed by the Grange Park Opera Rising Stars, then on Friday to the august Marble Hall at Hatfield House for a concert as part of the inaugural Hatfield Chamber Music Concert. Saturday saw us driving over to Cardiff where I was reviewing WNO's revival of Handel's Jephtha (the review will appear on the OperaToday.com website in due course), then on Sunday back to Hatfield for an appearance by the Sixteen at the final concert of the festival. Tonight sees me at Rosenblatt Recitals opening of their new season at their new home; Lawrence Brownlee and Iain Burnside are giving a recital at Wigmore Hall. (You'll also be able to catch it on Sky Arts). Tomorrow we are at the South Bank Centre for the New London Orchestra's performance of Delius's A Village Romeo and Juliet (seemingly the opera's only London outing during the Delius celebrations). Saturday we will rather belatedly be catching up with ENO's new production of Julietta, and on Sunday its over to West Malling for the festival there. I'm also rehearsing myself this week, with FifteenB, for our concert on October 13 at the Herne Hill Music Festival. All this week the English Concert have a series of smaller scale events at London's Handel House Museum, a chance to hear them in more intimate surrounds in the sort of spaces which Handel would himself have known. Each concert is performed twice, at 6pm and 7.30pm, thus giving a slightly wider opportunity. Tonight, Monday, sees Nadja Zwiener exploring music for unaccompanied violin prior to Bach. Then on Tuesday there is a programme of French baroque music for trio (oboe, viola da gamba and harpsichord) taking suites from Couplerin's Le Gouts Reunis. Wednesday sees soprano Julia Doyle exploring Handel the European, with Handel's settings in three languages. Thursday we have music for violin and theorbo and finally on Friday a fascinating collection of Venetian sonatas for cello. Further information and tickets from the Handel House, www.handelhouse.org. Britten and his music were rooted deeply in the East Anglian landscape. Many of the celebrations for the centenary in 2013 are similarly rooted in place, not just Suffolk but all over. at the heart of things of course is Aldeburgh, with Aldeburgh Music at the Snape Maltings and the Britten Pears Foundatiion. The 2013 Festival will be at the centre of next year's events. The Britten Pears Foundation has restored the Red House and people will be able to see Britten's studio for the first time. And Matthew Barley will be playing there on Britten's death day, with the concert being web-cast. Further afield in East Anglia, Fresh Fields are encouraging East Anglian groups, many amateur or voluntary, to join in the celebrations. On Sunday (23 September), the Sixteen took time out from the final week of their Choral Pilgrimmage to perform at the final concert of the Hatfield Chamber Music Festival. Taking place in the atmospheric great hall of the Old Palace, built in 1485, the concert took us on a tour of British choral music, highlighting links and indebtednesses to the past. Entitled An Immortal Legacy, Harry Christophers and his 18 singers gave us a programme which encompassed Tallis, Byrd, Gibbons, Morley, Britten, Tippett and MacMillan. Listening to the sublime closing duet of Monteverdi’s L’Incoronazione di Poppea it is perhaps difficult for us to accept that this music may not even be by Monteverdi, but to his contemporaries this would not have mattered. In our personality based age, the cult of the artist means that we can find such collaborative ventures difficult to understand though in the past they were perfectly common. When L’Incoronazione di Poppea was produced in 1643 in Venice, Monteverdi was about 75 and aid from pupils would not be unreasonable. Further adaptation would take place when the opera was produced in Naples after Monteverdi’s death and it is now tricky to deduce who did what. Monteverdi’s pupil Cavalli had a number of operas performed in Naples after their premieres in Venice. In Naples 1666, the Neapolitan composer Francesco Provenzale customised Cavilli’s Statira for the local taste by adding more extended scenes for the comic characters. British Youth Opera is 25. And to celebrate the company is adding an extra concert to its usual season. On Sunday 18 November at Cadogan Hall, at 6.30pm; and the bars stay open afterwards so you can help them celebrate. Peter Robinson (BYO's musical director) and Timothy Dean will be conducting the English Chamber Orchestra, who themselves recently celebrated over 5 decades of music making. They will be joined by a distinguished group of BYO alumni including Rosemary Joshua and Claire Rutter, in a programme of Mozart, Wagner, Puccini and Verdi. Check their website for further information about other soloists. Last year, Haftield House celebrated 400 years since the house was built in 1611, with a group of musical events in and around the house. Out of this came the idea for a music festival and the Hatfield Chamber Music Festival was born. This year's inaugural concert was on Thursday 20 September in Hatfield Old Palace, where Festival Director Guy Johnston join a group of musicians in a programme of Haydn, Chausson and Schubert. 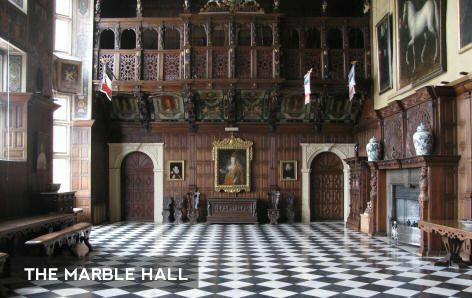 The concert I attended, on Friday 21 September, was in the glorious surroundings of the Marble Hall of Hatfield House itself. Having a young cast performing Tchaikovsky's Eugene Onegin can place the opera in rather a different light, emphasising the relative youth of the protagonists. After all, even Onegin is still a comparatively young man. 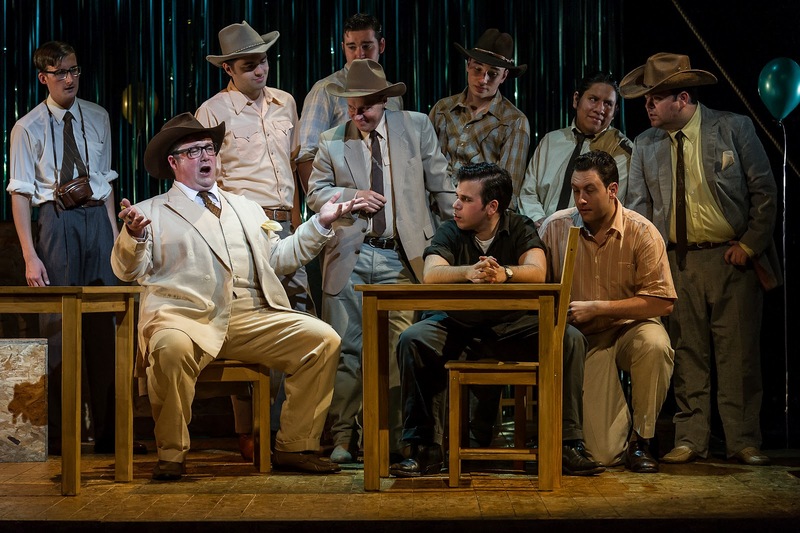 At Cadogan Hall on 20 September, Grange Park Opera's Rising Stars brought this aspect of the opera out when performing in Stphen Medcalf's intelligently traditional production. There was no room for sets on the Cadogan Hall's stage, with the orchestra crammed in behind the singers, but Francis O'Connor's costumes and props set the piece firmly in the Russia of the 1880's. 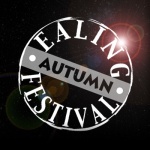 The Ealing Autumn Festival (12 - 27 October) celebrates the music of Delius and the work of Charles Dickens (both having significant anniversaries this year). Julian Lloyd Webber opens the festival with a recital which includes Delius's Cello Sonata (plus music by Rachmaninov, Britten, Bridge and William Lloyd Webber). Other musicians will also be including Delius's music in their programmes, and the West London Sinfonia, conducted by Philip Hesketh, will be playing the Delius Piano Concerto with soloist Viv McLean. 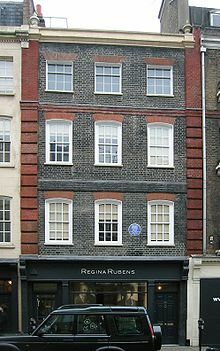 Dickens features in a number of films, including the Ealing Studios Nicholas Nickelby actually shown in Ealing Studios. 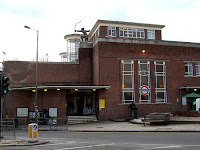 There is a wide mix of events including visual arts, literature, exhibitions (including one exploring Delius's link to Hanwell), plenty of films and the obligatory family friendly events. More information at the Ealing Autumn Festival website. Last night, the Gabrieli Consort and Players held an event to celebrate the release of their new CD of Mendelssohn's Elijah on Paul McCreesh's Winged Lion label (see my review). There was a short illuminating video about the making of the recording (see it here on Vimeo), a talk from Paul McCreesh and some live entertainment. The video was fascinating, making clear just quite how many performers there were. Whilst the core of the choir was made up of singers from Gabriel and the Wroclaw Philharmonic Choir, around half the total were young singers from choirs with which Paul McCreesh and Gabrieli have started to develop a relationship. Rachael Young has played cello in the New Zealand Symphony Orchestra, studied at the Boston Conservatory of Music and moved to the UK to study cello with William Pleeth and Moray Welsh. But at the same time she was interested in moving from behind a cello and onto the conductor's podium. Since 2007 she has been doing masterclasses with conductors such as Neeme Jarvi and for the last three years has been studying with Leonid Grin (Paavo Jarvi's former teacher and Leonard Bernstein's assistant in the 1980's). Now she is making her Cadogan Hall debut on 23 November, conducting the Russian Virtuosi of Europe. Besides celebrating Britten's music, Britten 100 involves a variety of events and artists who are reaching out to a wider audience, whether this is by creating new music, performing in unusual venues, involving 75, 000 children in singing Britten or encouraging local arts groups in Norfolk and Suffolk to perform Britten's music, and then there is the issuing of a 50p coin. Handel's Saul has been reasonably lucky on disc. John Eliot Gardiner's recording from 1989 with Alistair Miles as Saul is still something of a bench-mark, and Joachim Carlos Martini's 1997 recording for Naxos has its interesting dramatic moments. Now the Sixteen, under conductor Harry Christophers, have recorded the work after performing it with the same principals at the Barbican last year. The recording is based on the edition of the work by the late Anthony Hicks and the work is performed complete. In running time, Christophers comes in at just 4 minutes longer than Gardiner. French Grand Opera is a rather specific sort of of sub-genre of opera that developed in Paris in the late 1820's, partly as a result of the changing audience demographic. Middle-class audiences were not interested in the tragedie lyrique which had been the Paris Opera's standard fare, so the Grand Opera developed. The first acknowledged opera in this genre was Auber's La muette de Portici with a libretto by Scribe. It was Scribe who effectively codified the rules for Grand Opera. 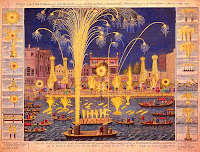 But the composer most associated with the genre is Giacomo Meyerbeer, from the spectacular first night of Robert le Diable, his first French language opera, he was the genre's undisputed king. The Feinstein Ensemble and the London Bach Singers, directed by Martin Feinstein, are making three appearances at St. Martin in the Fields, Trafalgar Square, giving us all an opportunity to hear their historically informed brand of Bach, complete with just one singer per part. They will be performing two programmes of Bach cantatas and extracts from the Christmas Oratorio on 20 September, 25 October and 24 November. Based at All Saints Church, East Finchley, the East Finchley Arts Festival offers and interesting mix of events from 5 to 14 October 2012. 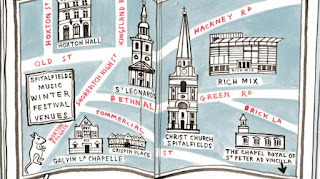 Founded in 1997, the festival is very much a local affair, it is heartening the way lots of different areas of London have local arts and music festivals which respond in varied ways to the area and the buildings within it. Festival Director Geoffrey Hansen is director of music at the church and his Odyssey for solo cello and strings will be receiving its premiere at the concert on 6 October with Hansen conducting the London Mozart Players, the programme also includes music by Elgar, Boccherini and Britten. In print and manuscript, there are a varied selection of contributions to Britten 100. The British Library will be displaying manuscripts from its fine collection of Britten's m/s, including its recent acquisition The Young Persons Guide to the Orchestra, in print there are newly published pieces, new editions of classic Britten pieces and a clutch of books including two new biographies and memoirs by Ronald Blythe and Beth Britten. 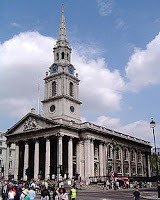 Bampton Classical Opera pitch up in London on Tuesday 18 September at St Johns Smith Square. Their double bill of Philidor's Blaise le savetier and Gretry's L'amant jaloux debuted in July at the Deanery Garden in July, their 20th anniversary season at Bampton. Popular in the 18th century, the music of Philidor and Gretry has not yet made a real come back though Sir Thomas Beecham was a devotee. So a chance to appreciate them on stage. A dramatic and engaging live event. You can start the New Year in great fashion with OAE’s performance of The Creation under Adam Fischer (9 January), and Joseph Calleja will be appearing with the Philharmonia under Andrew Greenwood on 11 January in a programme of popular operatic favourites plus a tribute to Mario Lanza! With the LPO’s 19 January concert we see the start of the Southbank’s The Rest is Noise Festival. Themed for Alex Ross’s book, the festival is a year long survey of 20th century classical music. On the one hand you think that the subject matter and the length (a whole year) make the festival rather too diffuse and that the Southbank should be doing this anyway. But there are some terrific events and if having a festival helps people concentrate their minds and produce something extra, then what the hell. Of course, this season also marks the LPO’s 80th anniversary and their contribution to The Rest is Noise and the remainder of the Southbank Season is very tempting indeed. Britten is being celebrated extensively next year on TV, radio and film as well as DVD. Tony Palmer is adding to his substantial back catalogue of films on Britten with a new film for Sky Arts, and four of his classics come out on DVD, plus a new film from Tony Britten on Benjamin Britten's pacifism. The BBC will be doing sterling work on TV (with a remastering of Owen Wingrave) and on Radio 3, with the broadcast of all of Britten's operas. ICA Classics will be releasing two DVD's, one of which includes rare footage of Britten conducting scenes from Gloriana, a work he never recorded in the studio. And a 40 CD boxed set from Decca of all of Britten's recordings of his own works. Is it really 25 years? English National Opera have revived Nicholas Hytner’s 1988 production of The Magic Flute for one last time, to celebrate the production’s 25th anniversary. My first encounter with The Magic Flute in a professional production was ENO on tour in 1976 in a production by Anthony Besch, which was itself relatively long lived. For years after its opening, Nicholas Hytner’s production remained in my eyes ‘the new production’. For their revival this time, (the 14th revival), ENO went for a cast which mixed innocence and experience, led by conductor Nicholas Collon making his ENO debut. We saw the opening night on Thursday 13 September 2012. This autumn's season at the Royal College of Music starts of with something of a stunner. On 26 September there are two pieces by Hans Gal, in a concert curated by Norbert Meyn and with soprano Patrizia Rosario. Gal was a distinguished composer in Germany in the 1930's who had to flee the Nazis. He ended up living in the Black Forest, where he wrote Nachtmusik for soprano, male choir, flute, cello and piano. Come seven years later, he had fled to the UK where he was interned as an enemy alien in a camp on the Isle of Wight. There he wrote the comic review What a life! I had exposure to some of Gal's fascinating and elegant music when I lived in Scotland, as he was the Hon. President of the Edinburgh Chamber Orchestra, the orchestra that I played in. In fact I played in his Serenade, Op 46 at a concert in the late 1970's, conducted by Miles Baster, where Hans Gal was present. Over the last few years, British Youth Opera has expanded its repertoire to include contemporary operas, alongside the classics and 20th century masterworks. 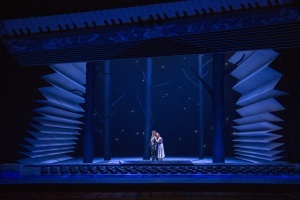 Jonathan Dove’s Flight and Stephen Oliver’s Euridice have already featured in its summer season at the Peacock Theatre and for its 25th anniversary season there was Judith Weir’s A Night at the Chinese Opera. We saw the opening night on 12 September, in a production directed by Stuart Barker, designed by Simon Bejer and conducted by Lionel Friend. 20th century British music continues to inch its way out from the bottom draw, but there is still a considerable amount of music unpublished and unrecorded. Ivor Gurney is best known as a poet and as a composer of songs. But his output, slim though it is, consists of more than just songs, according to Grove there are six violin sonatas, five string quartets and an extended orchestral piece all remaining unpublished. Now EM Records, the recording arm of the Dorset based English Music Festival, is recording Gurney's Sonata for Violin and Piano in E flat. The work is being recorded later this month by Rupert Marshall-Luck and Matthew Wickard for release on the EM Records label. The label has already acquired an interesting list of lesser known English works, works deserving to be hear. Further details from the EM Records website. Having received the recent news that further In Harmony - Sistema England projects are to be funded by the Department of Education and the Arts Council, the board of trustees of In Harmony - Sistema England is to have two new members. Existing board members, Julian Lloyd Webber (cellist and founder of In Harmony), Richard Hallam (former government music education advisor) and Nina Kaye (performing arts professional) are being joined by Marshall Marcus and Melanie Stoutzker. The Southbank's new season kick’s off with a bang later this month with a pair of rarely performed operas. The New London Orchestra under Ronald Corp are performing Delius’s A Village Romeo and Juliet on 24 September with a terrific cast, Andrew Staples, Anna Devin, Christopher Maltman, Andrew Shore and David Wilson-Johnson as the Dark Fiddler. 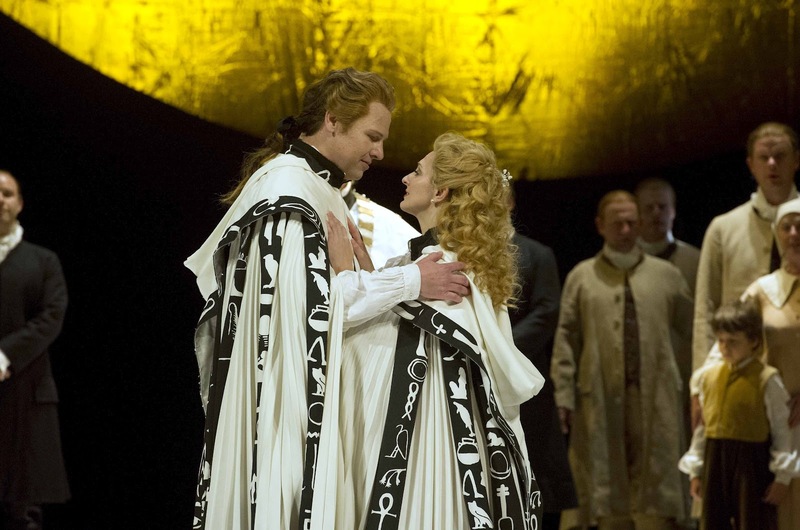 It is a welcome opportunity to see an opera which has been woefully lacking in London. Then the London Philharmonic under Vlladimir Jurowski is performing Zemlinsky’s A Florentine Tragedy, based on Oscar Wilde’s play. This will be teamed with excerpts from Strauss’s Die Frau ohne Schatten. These are just the harbingers of a season at the Southbank which has reacquired some of the zing and sparkle that seems to have been missing recently. I see from the Autumn edition of Art Quarterly (the Art Fund's magazine), that from some time this autumn, people who donate art works to museums will be entitle to 30% of the value off their tax bill. Something that already happens with gifts of money and shares, but not art works. Its high time that this anomaly was corrected, the UK lags rather behind other countries in encouraging people to donate. To the Britten Theatre at the Royal College of Music for the launch of Britten 100, the celebrations of the 100th anniversary of the birth of Benjamin Britten. The centre of the events is the Britten Pears Foundation, but the celebrations are in fact a wide collaboration between a variety of organisations, tribute to the wide regard in which Britten's music is held. The events start from yesterday's launch and run all the way through to the centenary day itself, on 22 November 2013 and beyond. At the launch, Richard Jarman the director of the Britten Pears Foundation gave a summary of the events. There is a cornucopia and this summary post will be the first of a number covering the celebrations. My song For David, on his Birthday has been placed fourth in the English Poetry and Song Society's Diamond Jubilee Competition. The competition, which requested composers set a poem written during the Queen's reign, was judged by Sarah Leonard, Stephen Varcoe and Raymond Warren. The top four songs are being performed on Friday 12 October at 8pm at a concert at the Colston Halls, Bristol. Sarah Leonard, Stephen Varcoe and Nigel Foster will be performing songs by Elgar, Walford Davies, Bax, Bliss and Malcolm Williamson (all Masters of the Queens/Kings Musick), plus Purcell, Greene, Boyce, Coward, Novello and Madeleine Dring, alongside the winning songs, North Ship by Jolyon Lacock, Bee Dance by Janet Oates, The Fox by Brian Daubney and For David, on his Birthday by Robert Hugill. In fact, For David, on his Birthday is the 7th in a cycle of songs, each written for my partner's birthday. The original versions of the songs, for tenor and piano, were privately recorded but are unpublished. The entry in the competition is the version for baritone and piano, which is available from the Spherical Editions website. And you can hear Simon Biazeck and Paul Webster performing the tenor version of the song on Sound Cloud. 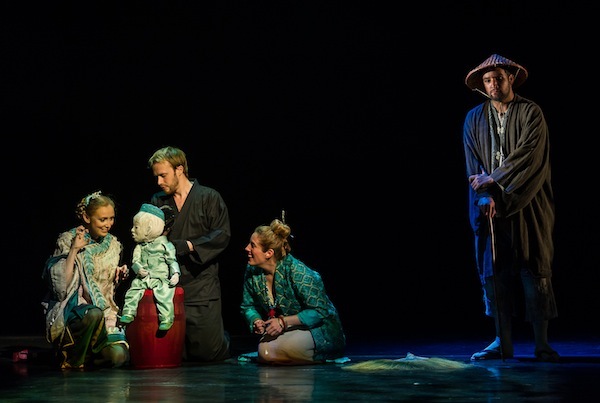 The Guildhall School of Music and Drama (GSMD) in their autumn season offer opportunities not only to catch young up and coming performers, but also to heard works you might not otherwise be able to. 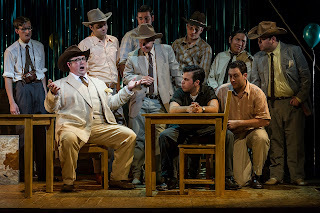 For their first production in their September season at the Peacock Theatre, British Youth Opera chose to present their first ever production of Smetana’s The Bartered Bride, sung in Kit Hesketh Harvey’s English translation (originally made for the Royal Opera House production). We saw the first night, on Saturday 8 September. For all its infectious music and apparently light-hearted popularity, The Bartered Bride remains a problematic piece. There is the depiction of Vasek, which though sympathetic, depends for its comic value on the character’s stutter. Plus the awkward fact that for a chunk of acts two and three, Jenik blithely assumes that Marenka will blindly trust him and quietly go along with his deception. Either he is horribly manipulative or simply egotistically selfish. But this is fundamentally a comedy, and if played straight the piece can be made to work well. This does, however, require the director to trust the piece. 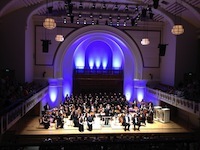 BBC Radio 3 have published their programme for the 2012-13 season of lunchtime concerts from the Wigmore Hall. Lasting from September 2012 to July 2013 there some 42 concerts mixing lots of young artists (including BBC Young Generation Artists) with more experienced ones. So that the talent ranges from Benjamin Grosvenor to Elisabeth Leonskaja. Ripon Cathedral Choir School has closed. I suppose in the grand scheme of things, this counts as a relatively minor blip; unless of course you happen to be attending the school, working there or trying to sort out the provision for choral music in Ripon Cathedral. It is very sad when such traditional bastions of our choral heritage become unworkable. Attempts to merge the school with a local one have foundered. It looks as if the cathedral has moved to another model entirely for the choral provision. A new choral foundation encompasses 24 boy choristers, 24 girl choristers from the local area rather than from a choir school and six lay clerks. The Ripon Cathedral website reads very upbeat and we wish them well in their new enterprise. It sounds as if cuts will almost certainly be expected to affect the BBC's contract performers as there are plans to cut the budge by £2.1 million by 2016-17; that's about 10% of total spending. The administration of the BBC Singers is being merged with that of the BBC Symphony Orchestra which, from an outsider's point of view, seems quite sane. But reductions of 10% are going to be difficult to achieve whilst maintaining the current output. Isn't it about time that we reflected on the money, kudos and all sorts of other kinds of goodness that these organisations bring. But, of course, that sort of thing doesn't sit well with the government's bean counters. Still, we have to be thankful for small mercies; the Mysercough Report (which set all this off), didn't recommend that any of the ensembles be got rid of, at least this time. Last night, 6 September, the Courtauld Gallery held one of their late openings. There was the exhibition, Mantegna to Matisse, plus talks from Niccola Shearman and music from Exaudi, conductor James Weeks. The exhibition was impressive in that it was taken entirely from the Courtauld's own holdings. The intention of this new recording of Mendelssohn’s Elijah conducted by Paul McCreesh was to recreate the first performance of the work at Birmingham Town Hall in 1846. This was very large scale affair, 100 musicians and 400 singers, and is very well documented. The first London performance, in 1847 is far less well documented. However, for this performance Mendelssohn made the significant revisions to the work which create the Elijah that we know today. So McCreesh has taken the decision to record the 1847 version but using forces akin to those Mendelssohn conducted in Birmingham. The result is to convincingly give us a taste of the sort of ‘big band’ performances of which the Victorians were so very fond. The recording has been issued on McCreesh’s Winged Lion record label and was recorded with the support of the Wroclaw Cantans Festival of which McCreesh is artistic director. McCreesh’s Gabrieli Consort and Players are joined by the Wroclaw Philharmonic Choir and choirs from the Gabrieli Young Singers Scheme: Chetham’s Chamber Choir, North East Youth Chorale, Taplow Youth Choir and Ulster Youth Chamber Choir. The recording was made in Watford Colosseum, but the organ of Birmingham Town Hall played by William Whitehead has been over dubbed onto it. Though the organ has undergone changes since the 1840’s, Whitehead explains in a CD article how he has attempted to come close to the sound of the organ at that period. One area of problem for performances of Elijah remains the ensemble numbers intended for solo voices. Choral societies engaging just four soloists need to allocate these to a chamber choir, and performances with more than four soloists seem profligate. It is an issue which is often skirted over in reviews, but can have a small but significant effect on the overall sound of the piece. Wolfgang Sawallisch in his Leipzig recording of 1968 in German was one of the first major conductors to use eight singers and have the quartets, octet and trio all sung by soloists. Paul Daniel does this on his recording with the Orchestra of the Age of Enlightenment with Bryn Terfel in the title role. On this disc, McCreesh opts for a slightly different alternative. He uses four well established soloists, and the quartets, octet and trio are sung by a separate group of eight young solo singers from the choir (Susan Gilmour Bailey, Emily Rowley Jones, Lucy Ballard, Ruth Gibbins, Samuel Boden, Richard Rowntree, Robert Davies, and William Gaunt). The result beautifully realises Mendelssohn’s intentions, and at the same time moves the work further from the operatic. 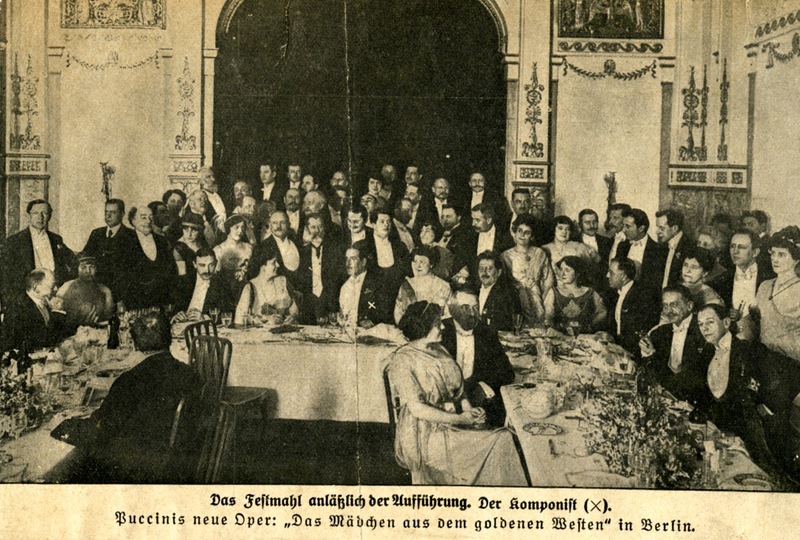 If you listen to these movements on the Sawallisch recording, sung by mature operatic voices, the results are closer to an operatic ensemble. But Mendelssohn wasn’t writing an opera, even though the work is dramatic. In the last few years I have developed an increasing knowledge of Mendelssohn’s choral music, particularly his unaccompanied pieces and the cantatas which sound like trial runs for Elijah. Using different blocks of singers, soli against chorus, was a technique that you find cropping up, so clearly the sound world which McCreesh evokes is one which would have been familiar to Mendelssohn. The orchestra has its share of interest and oddities including slide trumpets (an English invention which allowed natural trumpets to play chromatic notes), a contrabass ophicleide (there is only one of these left in playable condition and Gabrieli were lucky enough to borrow it from Albany, NY) and the addition of serpents to the vocal line. Regarding the text, McCreesh has made his own discreet emendations to the original translation to remove the odd infelicity in the traditional version. Of the various performances of Elijah that I have heard, both live and on disc, the three singers who have impressed most in the title role have been Norman Bailey and Benjamin Luxon (both heard live) and Bryn Terfel (heard only on disc). Now two of these are bass baritones and Luxon had a very rich dark voice, with a very dramatic delivery. Simon Keenlyside is rather different in style, his voice is slimmer for a start. I have heard him perform the role live, though with different forces to those on this disc, but my memories of that performance reinforce my impression that Keenlyside makes from this disc. But a critic must be careful of castigating contemporary singers just because they do not sound like their predecessors; the soprano role in this piece is a similar problem as I always hear it in my mind sung by Isobel Baillie. You must attempt to review the performance on its own terms. Keenlyside sings Elijah beautifully and intelligently with a very fine sense of line and lovely feeling for the words. His delivery of It is enough is one of the most moving that I have heard. And he does not eschew singing very quietly, his phrase to the Widow Give me thy son is stunning. But, at the big moments, he can’t disguise that his voice lacks the bigness, the amplitude that would be ideal in this role and, quite simply, there are one or two moments when it goes lower than his comfort zone. His singing of the arias Is not His word like a fire is wonderfully vivid and vigorous, but he doesn’t quite fill the vocal line the way I want. One small point, Keenlyside does not seem to be able to settle on one particular pronunciation of the word Israel. But his interpretation is well aligned to McCreesh’s interpretation, though this performance is dramatic, it is not particularly operatic. Here McCreesh’s experience conducting earlier oratorios comes to the fore and we experience Mendelssohn as the heir of Handel, Haydn and Bach, rather than as opera composer manqué. 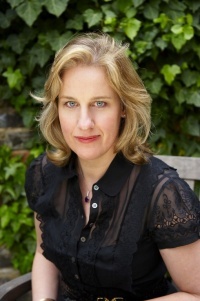 In the soprano solos, Rosemary Joshua is vibrant and rich voiced. Her vibrato is caught in a way which sometimes compromises the line, but she brings to each solo a well modulated intelligence. Perhaps the Widow could be a little more pointed at first. Her delivery of Hear year, Israel is not the most beautiful I have heard, but it is supremely characterful. Sarah Connolly turns in a beautifully rendered and differentiated performance of the alto arias. As Jezebel she conjures up a wonderful vein of nastiness (well supported by the chorus), whereas as the angel she is poised, beautiful and controlled. Her performance of O rest in the Lord brought a lump to my throat. Tenor Robert Murray is someone whose work in the opera house and concert hall I have admired. Like many of his distinguished predecessors, he does not quite managed to differentiate between Ahab and Obadiah. More problematically, the recording has picked up strongly on his vibrato, especially in the upper register so that when he applies pressure to the voice it starts to sound unstable. This might not bother everyone, but I am afraid that it is something which I always notice. 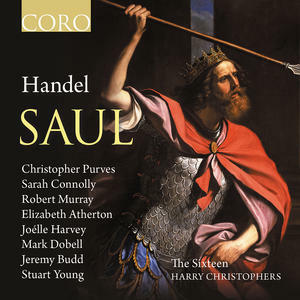 Singing the role of the boy is Jonty Ward, at the time of recording he had just finished his treble career as Head Chorister of New College Oxford and has appeared in a number of their recordings including his stunning contribution to their Couperin disc. But the real star of the disc is the chorus; huge it may be, but McCreesh gets a stunning variety of tone and volume from it. There are moments when you feel that perhaps his speeds are moderated to cope with the chorus’s huge size. I was particularly disturbed by the slowing down at the chorus’s first entry after the overture, but this was so marked that I presume it to be definite choice. The chorus brings great commitment to the nasty passages and turns in luminous singing in the hushed sections. To hear quite what effect such a big chorus can have, you need to hear Holy, holy, holy where a quartet of young singers is contrasted with the huge, huge impact of the chorus. Simply stunning. The orchestra is a similar revelation, with Mendelssohn’s textures coming over far more vividly than with modern instruments. I sang in the chorus for Elijah under Raymond Leppard in the 1980’s. His interpretation was, at the time, rather controversial but he pointed out to us that Elijah was still young man’s music. Mendelssohn was only 35 when the work was first performed. In some performances you forget this, but not here. The CDs come with the libretto (in English and Polish), plus articles by a variety of people on the work and the recording, helping you to understand what you are hearing and why. Elijah is a work very dear to my heart and I don’t think that any recording can ever succeed on every count. But in his recreation of the style of Mendelssohn’s first performance Paul McCreesh and his forces have come up with something rather wonderful to which I will return again and again. Rosenblatt Recitals, the recital series devoted to established and emerging singers from the operatic stage, has signed a deal with Sky Arts to televise the first four recitals in the 2012-13 season. This season, for the first time, the recital series takes place at the Wigmore Hall rather than St Johns Smith Square. With the location move and now the televisation, it looks as if Rosenblatt Recitals is significantly raising its profile. Possibly your last chance to hear I Fagiolini perform music from their best-selling Tallis and Striggio CD. On Saturday 22 September at St. Augustine's Church, Kilburn, London NW6 5XB, they will be joined by the English Cornett and Sackbutt Ensemble, the City Musick and the Renaissance Singers to perform Striggio's Ecce beatam lucem and his Missa Ecco si beato giorno plus Tallis's Spem in alium. Stunning music in an amazing location. More details and tickets from the Renaissance Singers website. The brochure for the Kings Consort's new season popped into my mailbox. It looks an attractive season with some rather enticing events, but you will have to travel if you want to see them. They are making two appearances at the Wigmore Hall, but all the rest of their programme is performed out and about, with none of the bigger works are making it to the UK. Which is a shame, still the season is worth travelling for. A friend of mine sent me this link about an orchestra of Swiss folk instruments (strings, clarinets, brass, accordeon, Schwyzeroergeli and hammered dulcimer) which was formed for the Stubete am See folk music festival in Zurich. The orchestra has music written for it, the Youtube link is to a piece by Dani Häusler called Waldstätter-Fantasy based ontraditional Swiss folk dances. This weekend (8/9 September) is the annual Heritage Open Days in the UK weekend (unless you live in London when the dates are different). 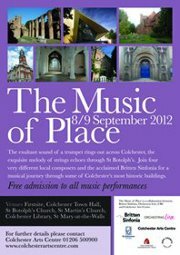 In Colchester you have the added advantage of The Music of Place 2012, where members of the Britten Sinfonia will be popping up in various places over the weekend to play music in historic and interesting venues. So two birds with one stone. The Choral at Cadogan concert series started in 2008 and since then they have presented a wide range of artists in some fascinating programmes of generally unaccompanied choral music. The concert series has built up steady support from the Cadogan Hall audience and recent programmes have been very well supported. But sometimes I have felt that the series has seemed a little under-valued in the wider musical community. Cadogan Hall is an excellent medium sized venue with a nice, not too resonant acoustic which responds well to small choral groups. The programming in Choral at Cadogan has always been varied enough to provide something for everyone whilst not shying away from some good meaty early polyphony to attract nuts like myself. Last night, 4 September, there was the 2012/13 season launch with a short performance from the Tallis Scholars and an introduction to the season by Peter Phillips who is artistic director of Choral at Cadogan. 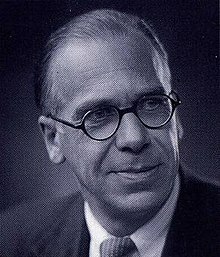 English composer William Alwyn (1905 - 1985) is perhaps still best known for his film scores, for such films as The History of Mr Polly. But besides his many film scores (60 feature film and 150 documentaries) there are five symphonies, operas, song cycles and many other works. His opera Miss Julie has had a degree of success, and he was able to record much of his output for disc. But there is still the feeling that, compared to his contemporaries Walton, Tippett, Britten, Alwyn's time has not yet come. This year's William Alwyn Festival is an opportunity to get to know more of his music, alongside that of some of his contemporaries.. The Brighton Early Music Festival (BREMF) is ten years old this year and, not surprisingly, the theme of this year’s festival (26 October to 11 November) is Celebration and I caught up with co-founder Clare Norburn to talk about festival past and present. BREMF was founded in 2002 by Clare Norburn and Deborah Roberts over a cup of coffee. Both are singers, Clare grew up in Brighton and Deborah had just moved there and started directing the Brighton consort. Their paths kept crossing as they both organised and promoted concerts in the city and, almost as a joke; the suggestion came up that they might put on a festival. Over the fateful cup of coffee, they decided that it was possible. Opera for a Change are a group of singers and performers who plan to take a production of Mozart's Magic Flute across Africa on a lorry, from Nairobi to Cape Town. From November to December 2012 there is a pilot project where four of the team will drive the route and meet local partners in order to build collaborations for the main project. Their vision is to take a travelling festival of stories and songs along a route that stretches more than 5000 miles though 9 countries. Those involved in the project are Andy staples, Louis Watt, Poppy Savage and Sarah Harvey. During November and December they will be running workshops as as they travel, firmly of the belief of the power of music and story telling to bring people together and make lives better. Each time they stop there will be a mini festival lasting around a week, tailored to the location and the people. Its all a bit crazy, but really rather wonderful. You can find out more from the Opera for a Change website. You've probably never heard of Ignatz Waghalter. He was born to a Polish-German Jewish family in Warsaw in 1881 but his family moved to Berlin. At 21 he won the Mendelssohn Prize. 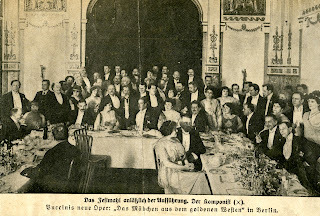 He was assistant to Artur Nikisch at the Komische Oper, and Music Director of the Deutsche Openhaus from 1912 to 1923. He conducted the German premieres of Puccini's La Fanciulla del West, La Boheme and Tosca, as well as Vaughan Williams's Fourth Symphony. He moved temporarily to the USA as music director of the New York State Symphony, then back to Berlin to work for Germany's largest film company before ending up at Riga in charge of the National Opera. He was forced into exile in 1934, ending up in the USA, dying in relative obscurity in 1949. His own music is now forgotten.